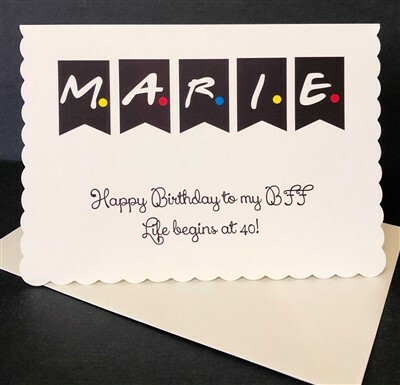 Our beautiful scalloped edged card printed with a name of your choice in the FRIENDS font. Underneath the name we print a message of your choice like in sample. The inside is left blank for you to write your own personal greeting.